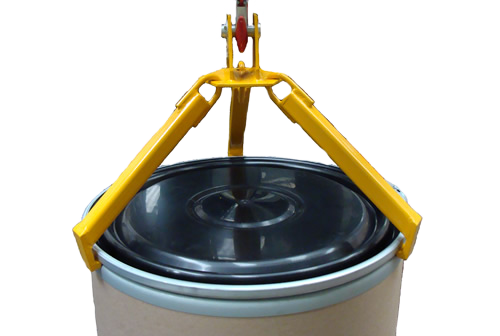 Three prong drum lifting device gives additional stability when lifting steel, plastic or fibre drums. Fitted with 20mm steel pin, this product works with our fork lift attachment or standard hoists. Strong robust design manufactured from cast steel.